Migrazioni: qual è l'interesse dell'Ue? A few weeks ago, Syrian refugees were shot and injured by Turkish border guards. Eight people lost their lives, including four children. Reports on ill-treatment of refugees at the Syrian-Turkish border are not new. It would be new if the Eu would publicly recognise these atrocities and draw the logical solution to review the EU-Turkey deal signed in March. Instead the Eu prefers to look away or close its eyes, so that this deal may be upheld. What agenda is the Eu pursuing and what policy changes are needed instead? 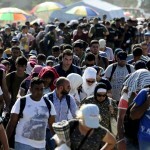 Recently, the European Commission proposed the Migration Partnership Framework (Mpf) as a series of combined instruments to prevent refugees and migrants from crossing European borders, and to ensure that many of them return to their countries of origin – whether these are deemed safe countries or not. Like with previous policy initiatives, the Mpf was misguidedly presented as yet another European effort to prevent people from drowning in the Mediterranean and to address the root causes of violence and extreme poverty that force people to flee their homelands. The proposals are packaged and framed as ‘saving lives’, ‘creating opportunities and tackling root causes’, and (suggesting two-way consultations and agreements) ‘reinforced cooperation with third countries’. The reality is that the Eu is stepping up efforts to keep migrants and refugees out at any cost, threatening countries of origin or transit to reduce development aid or withdraw trade preferences should they not cooperate with migrants’ return. In Eu speak, they combine the use of ‘positive and negative incentives’. At a high cost: because taking money away from long-term structural development programs will eventually only harm the people whom the EU should protect. Yet the Eu insists this is all about protecting human rights and addressing the root causes of irregular migration. They are wrong. First of all, it should be well understood that making it almost impossible to use legal avenues for migration, almost all migration has become “irregular”. What should be tackled instead is “unsafe” migration, as has been agreed in Sdg 10.7 of the 2030 Agenda. For example, it would be much safer (and cheaper) to take a flight rather than cross the Aegean Sea in a dingy. So why not lift the carrier sanctions? What also needs to be tackled is “forced” migration, so that people can utilise their right to migrate, and migration becomes an option and not a necessity. 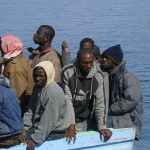 Moreover, the appalling figure of 65 million refugees and displaced people across the world clearly indicates that the root causes of forced migration and displacement require European leaders to address not just development and migration policies but instead start with foreign and security policies based on geopolitical and economic interests. Most of today’s crises are “hand-made” and urgently need to be ended, starting with the conflicts in Syria and the Horn of Africa. It is worrying that the Ec is proposing up to 8 billion euro in development aid to implement the new Mpf, mostly by rechanneling development funds into migration management and border control measures. Significant funds will be allocated to some of the most dubious African regimes responsible for gross violations of human rights against their own population, including that of the brutal dictator Bashir of Sudan. Some 200 million euro is even reserved for the autocratic Eritrean government, often termed the “North Korea of Africa”. What would one expect from a partnership deal with these exact same regimes that cause people to flee? Such partnership deals risk sending the signal that human rights violations are okay, as long as they do not cause us any trouble. Large sums are also intended for other migrant-producing countries, which will no doubt result in fewer resources available for other developing countries. Surely these other countries would interpret this as an incentive to encourage outward migration. The Mpf is said to ‘create opportunities’. It is true that decades of development cooperation have proven that by investing in decent jobs, access to education and healthcare, democratic reform and a more vibrant civil society, the conditions will improve for people to build up vital livelihoods and flourishing communities, in relative safety and security. But how do you want to ‘create opportunities’, when you would rather invest in fences than in peace and reconciliation? And how are you ‘saving lives’ if people are forced to remain in hopeless conditions, threatened by violence and extreme poverty, resorting to even more desperate measures to go anywhere to survive? How to fight smuggler networks, when all they do is resort to new and even more dangerous routes that will bring more profit at an even greater cost to their precious human cargo? Boats will not be stopped; they will simply go in another direction. And what is Europe’s stake in this? The numbers of people arriving last year, even when the reported 1.3 million figure is correct, would by all means have been manageable if the 28 member states had agreed on a fair share of responsibility. It would have eased the pressure at frontrunner countries, like Germany and Sweden, and there would be no need for the rock-hard measures currently on the table. And we know that most people who flee their African homes do not even go to Europe; 95% stay in their own country or flee to neighboring countries. The Sahel desert and other African migratory routes are killing more migrants each year than the Mediterranean Sea. A mere ‘not in my backyard’ policy will not contribute to saving lives. It will only make the lives lost less visible. At the same time, the Eu is cutting development aid with billions of euros in order to pay for asylum procedures and locking people up in migrant detention camps waiting to be deported. Should countries of origin refuse to take back nationals, or submit a laissez passer, the Mpf proposes another ‘negative incentive’, or ‘readmission agreement’. In 2011, the Dutch decision to cut development aid to Ghana by 10 million euro was a first of such aid conditionalities, linked to an unwillingness to cooperate in return migration. The Dutch government informally agreed that this punishment had no effect. Such measures will, however, hit the poor sections of the population hardest and are thus counterproductive to development objectives. Few authoritarian African governments will want to take back nationals, such as opposition leaders, human rights activists or critical journalists. And if they would be (forcibly) returned, they would not likely live to tell how that regime is treating them. It could all be very different. Let’s agree to double our efforts to end the wars and conflicts that cause so many to flee. Let’s agree to stop selling arms to conflicting parties. Let’s invest in improving living conditions in fragile states and regions, and support those immediately affected by poverty and war – not just refugees but also the host communities so that they can deal with the sudden influx of people. At this moment, the average stay of refugees in protracted crisis situations is 17 years. These people need relief, food, shelter, education, healthcare, employment opportunities and vocational training. But international aid budgets are running dry. The Sustainable Development Goals (Sdgs), whic the Eu member states signed up to, agree to promote basic living conditions, peaceful societies and equality between men and women. They also commit all states to reduce inequality within in and among countries, to ensure safe and responsible migration, and to facilitate migrants’ meaningful contribution to their countries of origin and destination. This is and should be the European agenda for the next 15 years, guiding national and EU implementation and budgeting. We need to avoid that the flawed “policy of fences” is taking precedence over the very foundations of Europe, those of international solidarity, protection of human rights and dignity. Rather than protecting borders, we should protect human beings, open meaningful safe and legal channels to come to Europe, such as resettlement, humanitarian visa and legal labour migration. It is even in our own interest: as our workforce is ageing, the skills and resourcefulness of migrants will contribute to the development of our own communities, if we let them. A UK statistic showed that 17% of all start-up businesses were set up by migrants. Migration is, in fact, the world’s oldest form of development. Qualche settimana fa rifugiati siriani sono stati colpiti e feriti da guardie di frontiera turche. Otto persone hanno perso la vita, tra cui quattro bambini. Rapporti sui maltrattamenti dei rifugiati al confine siriano-turco non sono una novità. Sarebbe una novità se l’Ue riconoscesse pubblicamente queste atrocità e ne traesse la logica soluzione di rivedere l’accordo Ue-Turchia firmato a marzo. Invece l’Ue preferisce distogliere lo sguardo o chiudere gli occhi, in modo che questo accordo possa essere mantenuto. Che fini sta perseguendo l’Ue e quali cambiamenti di politica sono invece necessari? Di recente la Commissione europea ha proposto il Quadro di partenariato sulla migrazione (Mpf) come una serie di strumenti combinati per impedire a rifugiati e migranti di attraversare i confini europei, e per garantire che molti di loro ritornino ai loro Paesi di origine – sia che questi siano considerati Paesi sicuri o no. 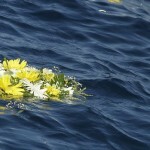 Esattamente come con iniziative politiche precedenti, il Mpf è stato malaccortamente presentato come l’ennesimo sforzo europeo per evitare che le persone anneghino nel Mediterraneo e per affrontare le cause profonde della violenza e della povertà estrema che costringono le persone a fuggire dalle loro terre d’origine. Le proposte sono confezionate e incorniciate come ‘risparmio di vite’, ‘creazione di opportunità e affronto delle cause profonde’, e (suggerendo consultazioni e accordi a due vie) ‘cooperazione rafforzata con Paesi terzi’. La realtà è che l’Unione europea sta intensificando gli sforzi per tenere lontani i migranti e i rifugiati a ogni costo, minacciando i Paesi di origine o di transito di ridurre gli aiuti allo sviluppo o ritirare preferenze commerciali se non dovessero collaborare con il rientro dei migranti. In linguaggio Ue, si parla di uso allo stesso tempo di ‘incentivi positivi e negativi’. A un costo elevato: perché togliendo soldi da programmi di sviluppo strutturale a lungo termine si finirà per danneggiare solo le persone che l’Ue dovrebbe proteggere. Affrontare le cause alla radice? Eppure l’Unione europea insiste sul fatto che tutto questo è per tutelare i diritti umani e affrontare le cause della migrazione irregolare. Ci si sbaglia. Prima di tutto, dovrebbe essere ben compreso che rendendo quasi impossibile utilizzare vie legali per la migrazione, quasi tutta la migrazione è diventata “irregolare”. Ciò che dovrebbe essere affrontata, invece, è la migrazione “non sicura”, come è stato concordato nel Sdg 10,7 dell’Agenda 2030. Ad esempio, sarebbe molto più sicuro (e più economico) prendere un volo aereo, piuttosto che attraversare il Mar Egeo in una squallida carretta. Ciò che deve anche essere affrontata è la migrazione “forzata”, in modo che le persone possano utilizzare il loro diritto a migrare, e la migrazione diventi un’opzione e non una necessità. Inoltre, la cifra spaventosa di 65 milioni di rifugiati e sfollati in tutto il mondo indica chiaramente che le cause profonde della migrazione forzata e degli spostamenti richiedono che i leader europei affrontino non solo le politiche di sviluppo e migrazione, ma anche politiche estere e di sicurezza sulla base di interessi geopolitici ed economici. La maggior parte delle crisi di oggi sono “artigianali” e c’è urgente bisogno che si concludano, a partire dai conflitti in Siria e nel Corno d’Africa. È preoccupante che la Comunità europea stia proponendo fino a 8 miliardi di euro di aiuti allo sviluppo per attuare il nuovo Mpf, per lo più con la riconversione di fondi per lo sviluppo in misure di gestione della migrazione e di controllo delle frontiere. Fondi significativi saranno assegnati ad alcuni dei regimi africani sui quali pesano i dubbi di gravi violazioni dei diritti umani contro la propria popolazione, compreso quello di Bashir, brutale dittatore del Sudan. Circa 200 milioni di euro stanno anche per essere riservati all’autocratico governo eritreo, spesso definito la “Corea del Nord Africa”. Cosa ci si dovrebbe aspettare da un accordo di partenariato con quegli stessi identici regimi che inducono la gente a fuggire? Tali accordi di partenariato rischiano di inviare il segnale che le violazioni dei diritti umani vanno bene, purché non ci causino alcun problema. 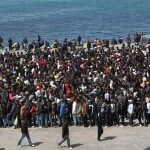 Si pensa di destinare grandi somme anche agli altri Paesi che generano migranti, il che senza dubbio si tradurrà in un minor numero di risorse disponibili per altri Paesi in via di sviluppo. E sicuramente questi Paesi interpreterebbero ciò come un incentivo a incoraggiare la migrazione verso l’esterno. Si dice che il Mpf ‘creerà opportunità’. E’ vero che decenni di cooperazione allo sviluppo hanno dimostrato che investendo in posti di lavoro dignitosi, accesso all’istruzione e all’assistenza sanitaria, riforme democratiche e una società civile più vivace, migliorano le condizioni per le persone per costruirsi mezzi di sussistenza vitali e comunità fiorenti, in relativa tranquillità e sicurezza. Ma come si vuole ‘creare opportunità’, quando si preferisce investire in recinti piuttosto che in pace e riconciliazione? E come si ‘salvano vite’ se le persone sono costrette a rimanere in condizioni disperate, minacciate da violenza e povertà estrema, ricorrendo a metodi ancora più disperati per andare in qualsiasi luogo pur di sopravvivere? Come combattere le reti di contrabbandieri, quando tutto quello che essi fanno è ricorrere a strade nuove e ancor più pericolose che porteranno più profitto ad un costo ancora maggiore per il loro prezioso carico umano? 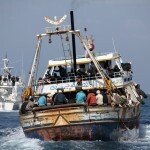 Le barche non si fermeranno; semplicemente andranno in un’altra direzione. E qual è l’interesse dell’Europa in questo? Il numero di persone che sono arrivate l’anno scorso, anche quando la cifra che si riporta di 1,3 milioni fosse corretta, sarebbe stato comunque gestibile se i 28 Stati membri avessero concordato un’equa parte di responsabilità. Ciò avrebbe facilitato la pressione sui Paesi capofila, come la Germania e la Svezia, e non ci sarebbe alcun bisogno di misure durissime come quelle attualmente oggetto di discussione. E sappiamo che la maggior parte delle persone che abbandonano le loro case africane non vanno neppure in Europa; il 95% rimane nel proprio paese o fugge nei Paesi vicini. Il deserto del Sahel e altre rotte migratorie africane stanno uccidendo più migranti ogni anno del Mar Mediterraneo. Una mera politica di ‘non nel mio giardino’ non contribuirà a salvare vite umane. Essa servirà solo a rendere le vite perse meno visibili. Allo stesso tempo, l’Ue sta tagliando gli aiuti allo sviluppo di miliardi di euro per pagare per le procedure di asilo e bloccare le persone nei campi di detenzione per migranti in attesa di essere deportati. Qualora i Paesi di origine rifiutino di riprendersi i propri cittadini, o fornire loro un lasciapassare, il Mpf propone un altro ‘incentivo negativo’, o ‘accordo di riammissione’. Nel 2011, la decisione olandese di tagliare gli aiuti allo sviluppo al Ghana di 10 milioni di euro è stato il primo di tali condizionamento degli aiuti, legato a una mancanza di volontà di cooperare nella migrazione di ritorno. Il governo olandese ha informalmente concordato che questa punizione non avesse effetto. Tali misure, tuttavia, colpiranno gli strati poveri della popolazione in maniera durissima e sono quindi controproducenti per gli obiettivi di sviluppo. Pochi governi autoritari africani vorranno riprendersi i propri cittadini, come ad esempio leader dell’opposizione, attivisti dei diritti umani o giornalisti critici. E se questi venissero (forzatamente) rimpatriati, probabilmente non sopravvivrebbero per raccontare come quel regime li sta trattando. Un altro modo di procedere! Potrebbe essere tutto molto diverso. Accordiamoci per raddoppiare i nostri sforzi per porre fine alle guerre e ai conflitti che costringono così tanti a fuggire. Accordiamoci per fermare la vendita di armi alle parti in conflitto. Investiamo nel miglioramento delle condizioni di vita negli Stati e nelle regioni fragili, e sosteniamo quelli più immediatamente colpiti dalla povertà e dalla guerra – non solo i rifugiati ma anche le comunità ospitanti, in modo che possano affrontare l’improvviso afflusso di persone. In questo momento, la permanenza media dei rifugiati in situazioni di crisi prolungata è di 17 anni. Queste persone hanno bisogno di soccorso, cibo, alloggio, istruzione, sanità, opportunità di lavoro e formazione professionale. Ma i budget degli aiuti internazionali stanno prosciugandosi. Gli obiettivi di sviluppo sostenibile (Sdg), che gli Stati membri dell’Ue hanno firmato, concordano di promuovere condizioni di base di vita, società pacifiche e la parità tra uomini e donne. Impegnano inoltre tutti gli Stati a ridurre le disuguaglianze al loro interno e tra i Paesi, a garantire una migrazione sicura e responsabile, e a facilitare il contributo significativo dei migranti ai loro Paesi di origine e di destinazione. Questa è e dovrebbe essere l’agenda europea per i prossimi 15 anni, guidando l’attuazione nazionale e comunitaria dei bilanci. Dobbiamo evitare la difettosa “politica di recinzioni” che sta avendo precedenza sulle fondamenta vere dell’Europa, quelle della solidarietà internazionale, della tutela dei diritti e della dignità umana. Invece di proteggere le frontiere, dovremmo proteggere gli esseri umani, aprire significativi canali, sicuri e legali, per venire in Europa, come ad esempio il reinsediamento, il visto umanitario e la migrazione legale per lavoro. E’ anche nel nostro interesse: dato che la nostra forza lavoro sta invecchiando, le competenze e l’intraprendenza dei migranti contribuiranno allo sviluppo delle nostre comunità, se lo permettiamo. Una statistica del Regno Unito ha mostrato che il 17% di tutte le imprese start-up sono state promosse da migranti. La migrazione è, infatti, la più antica forma di sviluppo del mondo.